What it is: Apple reportedly will let the next version of macOS run iOS apps. When Apple was making the iPad and the iPhone, they originally thought of squeezing OS X into the smaller form factor. They decided to create an alternative version of OS X that became iOS. Despite the different names, iOS and OS X (now macOS) are based on the same operating system core, which is why it’s so easy to developers to make apps for both operating systems using Xcode. The latest rumor claims that the next version of macOS will let you run iOS apps natively. This will open the market for iOS developers because they’ll be able to sell iOS apps to both iOS users and macOS users. That also means there will be far less incentive to develop macOS and iOS apps when you can just develop an iOS app instead. That simply points to the future where the Macintosh becomes obsolete and fades from view because the iPad will be just as powerful. That time isn’t here just yet, but it’s coming. That means the best bet is to focus on iOS development and iOS in general since iOS is the future operating system and macOS is not. 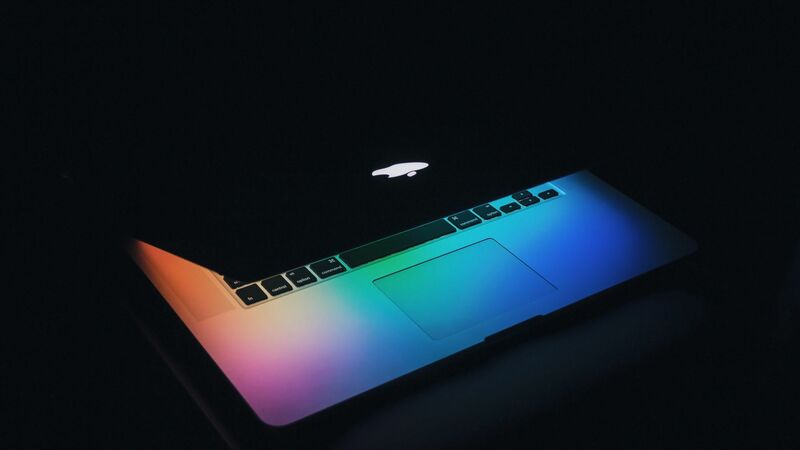 Initially, macOS programs will offer more sophistication than iOS versions, but that difference will eventually blur and disappear altogether. When that happens, there will be no reason to use macOS. The Macintosh and desktop computers may still be around, but the future Macintosh models will likely run iOS instead of macOS. The foundation of iOS is still OS X just like macOS, which means iOS has plenty of room to grow. Already mobile computing (smartphones and tablets) have killed the growth of the PC market (desktops and laptops), so it’s not unreasonable to see mobile computing operating systems like iOS eventually take over from Windows and macOS as well. The future is not the PC. The only question is when will this happen? To read more about Apple’s rumor to let iOS apps run on the Macintosh, click here. What it is: Apple is poised to benefit from the shift to digital health records. The health industry is still in the stone age where medical records are stored on paper and sent to others through fax machines or postal mail. Not only is this slow and inefficient, but it also risks being incomplete when data isn’t gathered in one place. Fortunately, this archaic system of record management will likely go away soon with the growing shift towards electronic medical records. Apple won’t have an exclusive lock on health data but they can compete by offering the simplest, most straightforward way to view and share medical records between doctors, hospitals, and patients. Besides making health data easy to find and view, Apple can also compete through security. Unlike Android and Windows, which are plagued by security flaws and malware, the iOS world is much safer and secure. That will be an especially valuable feature when sharing medical records with others. Of course, nothing is completely secure, but given a choice between the relative security of iOS or the wide open nature of Android, it’s easy to see that people who value their privacy will prefer to access their medical records through iOS devices. Now when you combine the Apple Watch monitoring health in real-time, you can see how Apple is poised to dominate the health market. Since everyone is concerned about their health, that makes everyone a potential Apple customer. Not surprisingly, other companies are looking to take advantage of the health market. Amazon, Google, and Microsoft will likely gain a foothold in the health care market along with Apple so there should be plenty of money for everyone. The big difference is that Apple has the most popular wearable computer to retrieve data in real-time along with the iPhone and iPad to review data on the move. The health record industry is still in the typewriter and adding machine world while the rest of the planet is using computers. One day when health record sharing electronically becomes commonplace, people will look back and wonder how anyone managed in the old days. Then again, people still wonder how the world ever functioned without the Internet, personal computers, or mobile phones in the past. To read more about Apple moving into the health record industry, click here. What it is: Director Steven Soderbergh plans to use the iPhone’s camera exclusively for making his next movies. At one time, digital cameras could only capture poor images. That’s why companies like Kodak felt they had nothing to worry bout since film captured such better images. Then digital cameras gradually improved until professionals started to use digital cameras for their convenience as well as their picture quality and resolution. Today, very few people use film. Even professionals use dedicated digital cameras, but director Steven Soderbergh plans to go one step further. Instead of using dedicated video cameras, he plans to shoot movies only use the camera in the iPhone. Amazingly, the iPhone’s camera has gotten so good that its small size and convenience makes it much easier to use than expensive, bulky dedicated cameras. With image quality being equal to what dedicated digital cameras could capture just a few years ago, the iPhone camera is all professional photographers and film makers really need any more. At one time, the idea of editing a picture on a smartphone was laughable. Now film makers are able to not only capture entire movies on an iPhone, but they can also edit video on an iPhone as well. That’s because the power of the iPhone is equal to what PCs offered just a few years ago. With processing power and camera quality being equal to dedicated film making equipment from the past, it’s no wonder more and more film makers are relying solely on the iPhone camera for professional work. Expect to see more professionals dumping dedicated equipment in favor of the small size and convenience of the iPhone. If the iPhone can make such a drastic change in the world in a little more than a decade, imagine what the next decade might bring with smart speakers, self-driving cars, and tablets just as powerful as laptop computers of today. The computing world is changing faster than ever so if you’re not embracing technology, you’re falling behind. Young people understand this and easily adapt to changing technology. Older people are most resistant and more likely to suffer the consequences as a result. So whatever your age, don’t think like an old person still clinging to the past. The future is bright and wonderful. Just look at it through an iPhone camera if you don’t believe. To read more about how Steven Soderbergh uses an iPhone to film professional movies, click here. What it is: HomePod is now on sale and early reviews are trickling in touting its major advantage. Sometimes technology moves faster than people are ready for it. When the Apple Watch first appeared, people couldn’t figure out what they could use it for. Then they discovered that it’s primary advantage was real-time health monitoring. When the iPad first arrived, people dismissed it as a larger iPod touch, until they realized apps could do so much more, especially when paired with an optional external keyboard. The iPad has gradually evolved from a convenient tool to challenging laptops for many people. Given a choice between an iPad and a laptop, more and more people are seeing the advantages of the iPad over a traditional laptop. Both the iPad and Apple Watch have incredible potential, but most of that potential was focused on the future. The Apple Watch has gone through multiple generations to become far more useful and the iPad has grown into the iPad Pro. That same future appears to be what the HomePod will offer. Initially, everyone agrees the HomePod offers incredible audio quality. If that’s what you want, then the HomePod will deliver. However, the real potential of the HomePod is as a hub to control a HomeKit smart home. Since few people have a HomeKit smart home, that potential use for HomePod remains more potential than practical use today. That means you can expect HomePod sales to grow steadily over the years. If you want a HomePod for superior audio quality, then get one. For the rest of us, wait and watch as the HomePod gradually evolves and as HomeKit gains more traction. 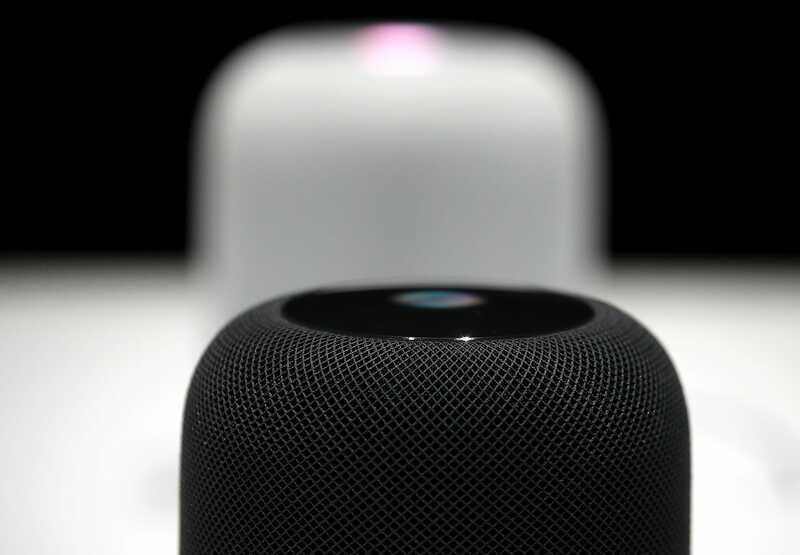 Eventually, HomePod could be as indispensable as an iPhone, but until that day arrives, HomePod is a first generation product that will gradually embrace the world of hands-free computing until the rest of the world finally catches up to it. HomePod is the future. Unfortunately, the future is not here yet. To read more about HomePod, click here. Can HomePod Succeed in the Smart Speaker Market? What it is: Apple is finally taking orders for HomePod, the smart speaker promised in December. For many people, a low-cost device like Amazon’s Echo may be all they want since the cost is so low. Yet what do most people use a smart speaker for? Undoubtedly many people are buying smart speakers just to play music. Controlling a smart home is likely far down their list of priorities, which means that playing music is at the top and giving voice commands is likely second in importance. If playing music is the primary use for a smart speaker, Apple is hoping HomePod’s superior audio quality will help it capture the high-end market of audiophiles who want the best sound quality possible. Of course, most people are fine listening to muffled audio through CDs or MP3 files but true audiophiles appreciate vinyl records and more expensive speakers. Those will be the people HomePod will target first. So the real question is how good is the audio quality of HomePod compared to its rivals? If the audio quality isn’t that noticeably, people will likely choose lower-cost options. If the audio quality is drastically different, then more people will likely choose HomePod. The ability to accept voice commands is likely secondary in importance. Siri has been on the iPhone for years, yet a vast majority of people don’t use it. Amazon’s Alexa is available on their Echo devices but again, how many people absolutely need to give voice commands to a smart speaker? It can be convenient and fun, but is this something people will do regularly because it’s something they need? At this point, the answer is mostly no. Giving voice commands is crucial for hands-free computing such as in CarPlay while you’re driving a car and need to keep your attention focused on the road. Giving voice commands at home isn’t crucial, which means the voice assistant in smart speakers is nice to have but certainly not critical. Most people who own a smart speaker likely don’t talk to it multiple times during the day for critical purposes. That makes accepting voice commands handy but ultimately a luxury. The third use of smart speakers is to control a smart home. Given how few people actually have a smart home, this feature is the least needed feature of all. Yet in the future, this could be a crucial feature. HomePod links to HomeKit but HomePod will likely go through several generations before people start relying on it for controlling smart homes. That means today’s HomePod will become obsolete by the time smart homes are available. For now, the real value of HomePod will lie in its audio quality. If ordinary people can tell the difference in audio quality, HomePod will likely sell like mad. If people can’t easily tell the difference in audio quality, then HomePod will likely grow slowly and steadily like the Apple Watch. Either way, Apple is positioning HomePod for the long term so if you don’t see a need for HomePod right now, you probably don’t need one. Wait for the next version or two and then reconsider getting a HomePod. Unlike the Apple Watch that offers real-time health monitoring as its crucial feature, HomePod doesn’t offer a similar must-have feature that everyone needs. Instead, HomePod is a luxury item that’s worth watching for the future because one day it’s going to be critical to own and use. The time just may not be now. What it is: Apple is redesigning iBooks to compete against Amazon. Amazon dominates the ebook market, which made a recent ruling against Apple seem ludicrous since it punished Apple and gave Amazon greater market share. The only other competitors to Amazon are Nook and Kobo, neither of which have the resources or reach to compete effectively against Amazon. That leaves only Apple, and Apple hasn’t been doing a very good job at it, essentially letting iBooks languish for years. Now Apple plans to improve iBooks and change its name to Books or Apple Books. The real key is that Apple needs to make Apple Books (just like Apple Music) competitive against Amazon. One way they can do this is to focus solely on ebooks. Right now, Amazon sells both printed and ebooks so Apple has a unique opportunity to emphasize ebooks completely. Second, Apple offers interactive ebooks, which are far more interesting than ordinary ebooks with static text and pictures. Apple needs to push this interactivity as the prime reason to use Apple Books. With Amazon, it’s easy to read ebooks on all types of devices including Android and iOS devices along with Windows and the Macintosh. With Apple Books, you’re limited to just Apple products like the iPhone, iPad, and Macintosh. Apple will need to push Apple Books out to Android and Windows if they want to compete against Amazon. The third strike against Apple Books is in the realm of self-publishing. Amazon makes it extremely easy for anyone to self-publish a book as either an ebook or a print-on-demand book. Apple makes it extremely cumbersome to self-publish through iBooks. If Apple doesn’t change this, they’ll never catch up to Amazon since Amazon will always have more ebooks available for sale. Apple is wading into music and ebooks as a way to make Apple products more appealing. However, until Apple makes their interactive ebooks far more compelling than ordinary ebooks and makes it easy for people to create their own interactive ebooks, Apple has no chance of competing against Amazon’s huge head start. Amazon is going to dominate until Apple can create unique interactive ebooks that are only available on Apple Books. Until that day arrives, Apple Books will always be second in the slowly growing ebook market. To read more about the coming changes in iBooks, click here.